The Maclaren Carrycot is the ideal lie-flat environment for newborns recommended by health professionals for proper infant development. 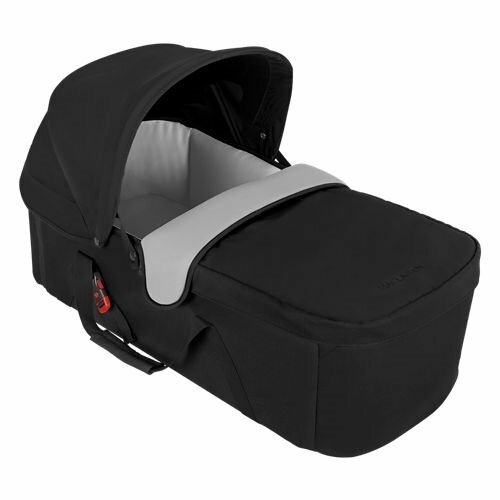 Easily and securely attaching to the stroller's frame in a rearward-facing position, our Carrycot gives parents direct view of their little one; whilst built-in carry handles offer easy transport. The adjustable two-position UPF 50+ hood and apron protect baby from the elements. Ultra-soft breathable lining and plush padded waterproof mattress provide a cosy environment and removable/washable apron and mattress cover make clean-up a breeze when accidents occur. Appropriate for infants 0 to 20lb/9kg and up to 65cm long and compatible with Quest, Techno XT and Twin Techno buggies, manufactured from January 2012 onwards. Appropriate for infants 0 to 20lb and up to 25.5in long and compatible with the Maclaren Quest, Techno XT and Twin Techno manufactured from January 2012.